NICE quiet location near the INTRACOASTAL WATERWAY --bring your boat/ kayak --Only 15-30 minutes to the beach--downtown shopping or restaurants. Just a short walk to the new FREE fishing pier -----good bike area---due to the low rate linens are not included. Bring your favorite pillow -sheets and towels. Boat /fishing charters available with advanced reservations . 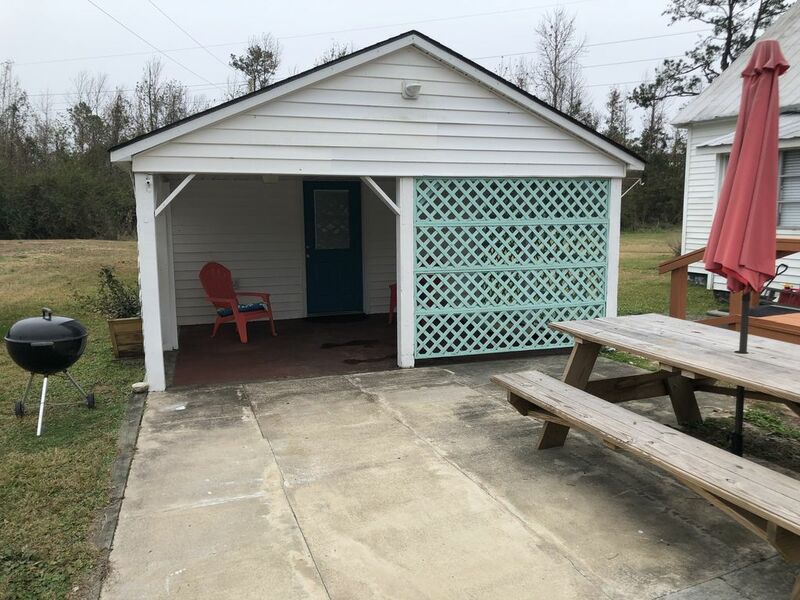 THIS PROPERTY IS JUST A SHORT WALK AWAY FROM OUR MARINA LOCATED ON THE ICW WITH WATER ACCESS AT OUR NEW BOAT RAMP AND FISHING IS INCLUDED OFF OUR NEW FISHING PIER.